Mulan gets herself into more trouble in Mulan II. Her relationship with Shang is really put through the ringer as the two are sent on a secret mission to take three princesses to another city. Mushu’s attempts to drive the couple a part as well as other obstacles do not help the situation to say the least. There will be plenty of action, drama, romance, and more for fans to watch with this sequel. 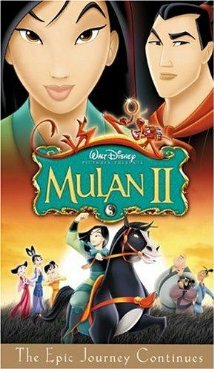 You will likely want to watch the movies back to back to get a better picture of the full story that Shang an Mulan share with one another. To learn more, check out http://www.imdb.com/title/tt0279967/?ref_=sr_2. This movie gets a five out of five popcorns rating.